Depositions are unpredictable, and trials can be even more variable. Add in a witness’s nervousness and anxiety about the outcome of their case, and legal proceedings become a veritable thriller leaving the entire room on the edge of their seats. What will the witness say or do next? No one knows. At DLE Court Reporters, we’ve seen our share of unprepared witnesses, as well as those who have been rehearsing for a long time. Neither option adds to a witness’s credibility or effectiveness. As legal professionals who sometimes feel like flies on the wall, our team of court reporters has assembled five tips for preparing – not over-preparing! – witnesses. Prepare them early, but not too early. 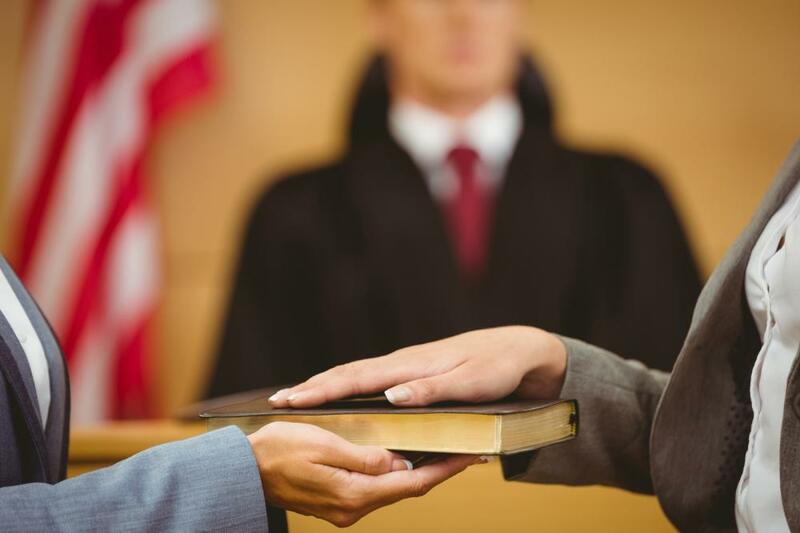 The best witnesses are aware of the deposition and trial dates, and they know where they need to be and when. It’s also important that they know what to expect when they’re called to testify, as much as possible. Most importantly, their accounts of events and details about their case have undergone a refresh beforehand, so their memory is clear for their testimony. Empower your witness. There’s a tendency, especially in depositions, for witnesses to clam up and resist giving information for fear that it may hurt their case. Attorneys can prepare them to answer the questions in a way that properly conveys their stories, raising confidence levels in their skills while easing their anxious minds. Slow their pace. Help them focus on the question that’s been asked, and not the rest of the information they want to share about their case. Supply only the details that have been requested; getting ahead of the opposing attorney never bodes well for the case. This is also important for court reporters recording the proceedings; speaking slowly and avoiding stops for clarification or objections helps the process go smoothly. Give them an outline, but not a script. There are key points your witness should convey, so remind them with a general outline of the points that may help them remember. Prepare them for unpleasantness. Play the role of contentious, argumentative, even rude opposing counsel who won’t accept anything but a simple yes or no, even when it’s impossible to answer without further explanation. This will help your witness keep calm and carry on. Above all, build up your witness’s confidence, and develop a trusting relationship with them. If they feel like they have someone in the courtroom on their side, they’ll feel less uncertain when surprises occur. At DLE Court Reporters, we aren’t fond of surprises of the courtroom kind. We are a prepared, professional team who shares our predictability with our partners and clients. Have you experienced the DLE difference?